Costco has a rewards program that allows members to receive cash back on their purchases – as if buying 100 rolls of toilet paper for less than 50 cents a roll was not enough. Wondering how you can get even more out of your Costco membership? Here’s what you need to know about Costco cash back rewards. How Do Costco Cash Back Rewards Work? Here’s how it works: First, you must have a current Gold Star or Business membership. To receive rewards, you need to upgrade to an Executive Membership, which costs an additional $60. Once you are an executive member, you’ll receive a 2% rebate on select pre-tax purchases, mostly on items you will purchase at the front register. Recently, Costco began including select travel purchases. Costco’s travel program offers discounts at resorts and popular destinations as well as cruises. Not all travel purchases are eligible for the rebate, so check with Costco, first. Other exclusions to the rebate are tobacco-related products, gas, Costco Cash gift cards, membership fees, consumer and insurance services, photo center purchases and some alcoholic beverage purchases in certain states. And if you allow your cousin to purchase items using your card, they don’t count toward your rebate. Even if you have been a member for years, you won’t get any rewards on purchases made before you became an executive member. Costco reserves the right to change its policy so if you are making a purchase based on the rebate, make sure it qualifies. The 2% rebates are capped at $1,000 annually. You don’t get the money automatically. The rebate is distributed via a rewards certificate when you renew your membership. You can use the rebate on most purchases you make at the register but again, always double check as policies change. Is the Costco Executive Membership Worth It? You have to spend $50,040 a year at Costco to get the $1,000 rebate. If you are already spending a lot of money at Costco for big-ticket items, it’s worth it. But if you are spending less than $250 a month, you won’t cover the $60 Executive membership cost. Costco has another way for customers to earn cash back through their Anywhere Visa Rewards Card by Citi. While this is a Costco-branded credit card, you can use the card anywhere and receive rewards. You can get 4% back on your gas purchases at any station, including Costco gas pumps. If you eat at your favorite restaurant and use your card, you get 3% back. You will also receive 3% back on your travel purchases. Customers receive 2% cash back on purchases at Costco both in the store and online. And you get a 1% rebate on any other purchases. 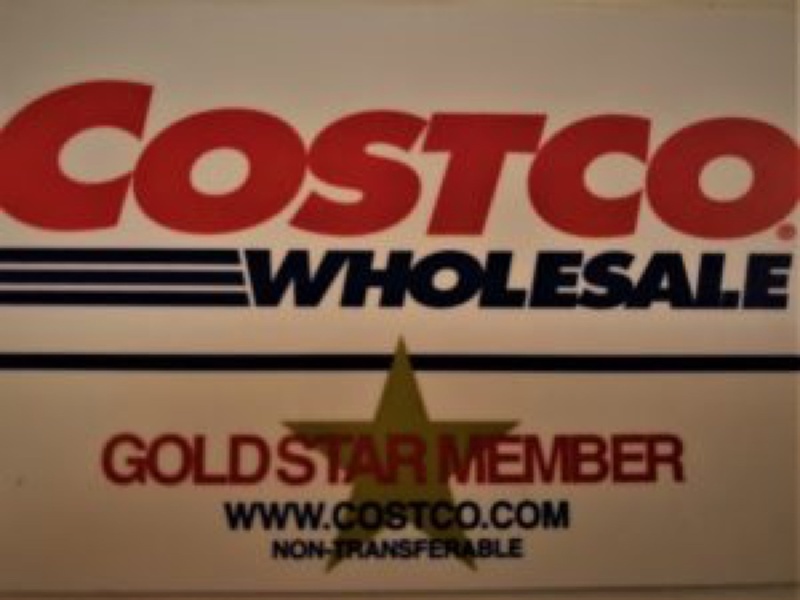 You have to be a member of Costco and have good enough credit to qualify for the card to participate in the rewards program. Is the Costco Anywhere Visa Rewards Card Worth It? Yes and no. You have to spend $3,000 on each item to receive the maximum award amount of $2,730. Three thousand dollars is a lot of money to spend on gas and food each month. However, if you just want to make a few hundred dollars each year, it’s easily doable. Like Costco’s other reward program, the rebate is issued once a year. Customers receive a certificate in February based on purchases made during the prior year. You can redeem your certificate for goods at Costco or you can get cash. You can’t use it on Costco’s website or for travel. Keep in mind that you will also be paying interest if you don’t pay off your purchases each month. The interest you incur will likely be more than the rewards you’ll earn. Unless you are going to use the card for major purchases or use it for business purchases, the card may not be worth it. Do you use Costco cash back rewards? Let us know in the comments below.